These were so FAST & FUN tonight! The kids picked them right up & ate like pizza! I used Applewood Pepperoni found in your specialty deli. Gluten free, No Nitrates. 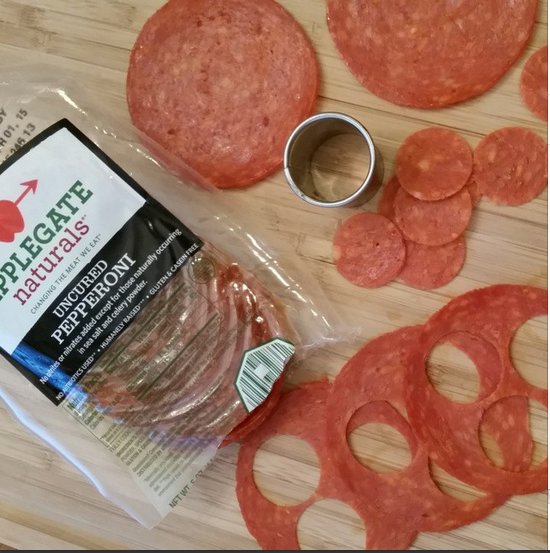 I cut the large pepperoni into mini-pepperonis using a tiny round cookie cutter. 3 medium zucchini, cut in half lengthwise, most of flesh scooped out. Place zucchini on a flat baking sheet. You may want to lightly brush zucchini with extra virgin olive oil, sprinkle with sea salt, pepper, garlic(optional). 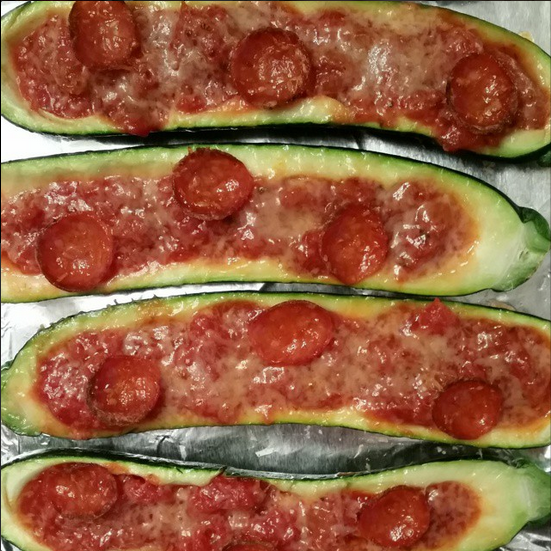 Spoon an all-natural Marinara into the zucchini halves. I purchased Spinelli’s Brand marinara (my absolute favorite sauce) at Whole Foods this afternoon to make these quick. I sprinkled each with a tiny amount of freshly grated raw-milk parmigiano cheese. 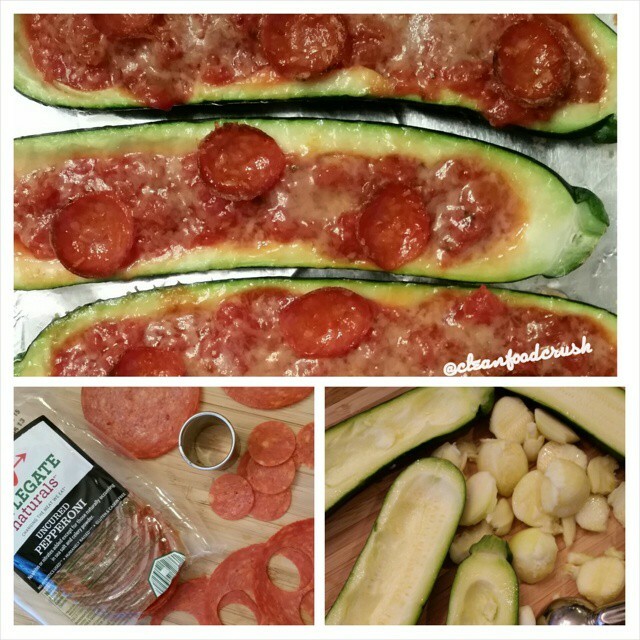 Place 3 mini pepperoni on top of each zucchini. Bake in your preheated 375 degree oven for about 15 minutes. These would also be great on the grill!